Researchers find that total neoadjuvant therapy has a significant impact on survival for patients with borderline resectable or locally advanced PDAC. 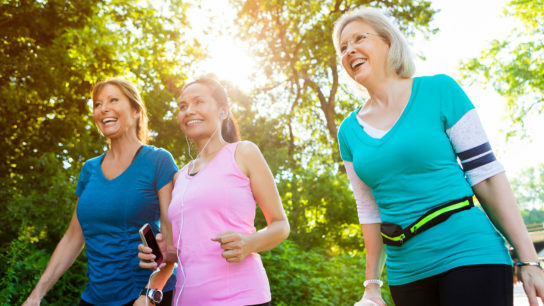 A group of researchers explored the value of using an exercise program designed for cancer survivors to help them increase their daily activity levels. University of Michigan researchers explored the potential of self-acupressure to help women with breast cancer better manage symptoms such as fatigue, pain, and depression. Researchers sought to identify the support networks for patients with colorectal cancer. A review of the 2nd edition of the American Cancer Society’s What to Eat During Cancer Treatment, and catching up with Chef Pnina Peled at New York-Presbyterian Hospitals. Use of a computerized brain exercise program designed to help people sharpen their cognitive function was found to be effective against chemobrain in breast cancer survivors. Proscription on Antiperspirant Use During Radiotherapy: Does the Advice Still Apply? In a 2-pronged study, researchers determined that antiperspirant/deodorant use is a significant part of quality of life for patients with breast cancer, and the practice does not increase risk of skin reactions in the axilla. A review of studies investigating the safety and efficacy of integrative and complementary medicine practices sought to determine their effects on children with cancer. A nurse-led study explored the significance of nurse navigators for patients with lymphoma approaching their transition from acute care to survivorship care.